Modern retailing sometimes offers unique design opportunities which combine form with function. 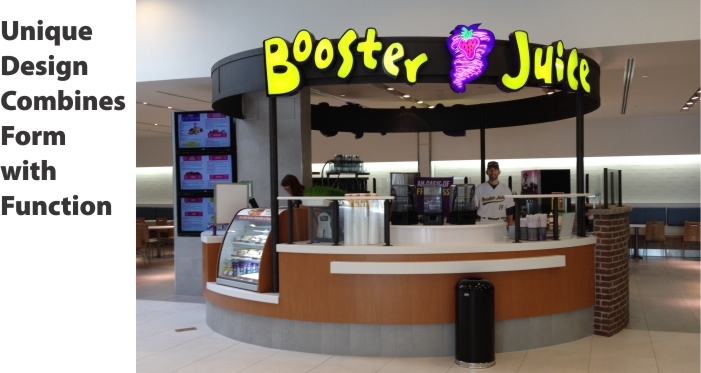 As illustrated here, the circular raceway and face lit channel letters elegantly define the operating area for this freestanding Booster Juice kiosk. This project was fabricated in Landale’s Edmonton facility, then shipped to Sarnia Ontario for installation. Coordination with the client’s construction group ensured that the required dimensional and placement specifications were met.